This book is about sharing knowledge on how DevOps teams work together. 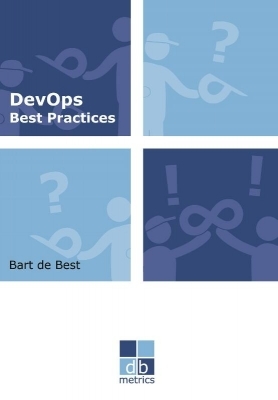 For each aspect of the DevOps process best practices are given in 30 separate articles. The covered aspects are: Plan, Code, Build, Test, Release, Deploy, Operate and Monitor. Each article starts with the definition of the specifically used terms and one or more concepts. The body of each article is kept simple, short en easy to read. In recent years, many organisations have experienced the benefits of using Agile approaches such as Scrum and Kanban. The software is delivered faster whilst quality increases and costs decrease. The fact that many organisations that applied the Agile approach did not take into account the traditional service management techniques, in terms of information management, application management and infrastructure management, is a major disadvantage. The solutions to this problem has been found in the Dev (Development) Ops (Operations) approach. Both worlds are merged into one team, thus sharing the knowledge and skills.